When thinking of jobs in the renewable energy sector one often thinks of the electricians installing rooftop solar throughout the suburbs; the wind workers fabricating turbine towers in Portland; or the construction jobs that go along with building wind farms in regional Victoria. Yet growing the renewable energy sector also creates jobs in the city. Prior to the Abbott government’s attack on the national Renewable Energy Target an estimated 556 people were employed by Melbourne’s renewable energy firms, though one in ten lost their jobs due to policy uncertainty. 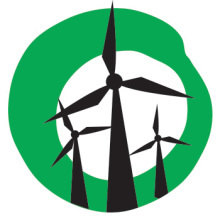 Over the last few weeks, Yes 2 Renewables have amassed kilometres in trips to the Coonooer Bridge wind farm in the Buloke Shire; West Wind Energy headquarters in the Macedon Ranges; and the site of the proposed Cherry Tree Range wind farm in central Victoria. To get an industry perspective on our call for an ambitious Victorian Renewable Energy Target and how it could boost employment in the city, I jumped on a rattly old tram to Collins Street. Well known for being home to Melbourne’s financial sector and high-end boutiques, it’s also where German wind energy giant Senvion decided to set up its Australian base. “The Mandatory Renewable Energy Target first attracted Senvion (then REpower) to Australia,” explained Senvion Managing Director, Chris Judd. Senvion emerged in Germany in the early 2000s with the merger of several industry players. It’s primarily an engineering company that designs, tests and manufactures wind turbines. The firm arrived in Australia in 2002 and provides wind and electrical engineering skills, sales, administration, as well as technical skills to construct and maintain wind turbines. Senvion’s work is on display at nine wind farms in Victoria and New South Wales. With 440 megawatts of wind farms in its portfolio, Senvion projects generate enough clean electricity to power a quarter-of-a-million homes. “We estimate that this delivers greenhouse abatement equivalent to planting 2 million trees,” said Judd. The environmental benefits of wind energy are well known, yet they also deliver benefits to local economies and the community. Judd cites employment and economic development opportunities in regional areas a key benefits emerging from wind farm development. “A study undertaken by Sinclair Knight Mertz (SKM) for AGL has estimated that construction of the four existing Hallett wind farms in South Australia added an equivalent of 1.15% to the Gross Regional Product of the Mid North Region,” stated Judd. With the Andrews government in the midst of finalising its renewable energy policy that will include targets for 2020 and 2025, we asked Senvion’s Chris Judd for his view on how Victorian policymakers can stimulate the sector’s development. “We welcome the Victorian Government’s support for renewable energy, and have been very encouraged by the direction set in the Victorian Renewable Energy Roadmap,” said Judd. Judd notes there are several policy mechanisms the government can use to grow renewable energy capacity, however he says thay that the form of the policy is much less important than having a clear, stable, and long-term policy environment. And as many key players in the sector will say, that takes bipartisanship from the government and opposition. Victoria’s first Shadow Minister for Renewable Energy, David Southwick MP, at the Wonthaggi wind farm operated by Senvion. It has been the longstanding position of Yes 2 Renewables that state government initiatives to grow the renewable energy sector could gain cross-party support in the Parliament. An ambitious Victorian Renewable Energy Target that unleashes investment and creates jobs (while tackling climate change) is something all political parties can support. There are signs that cross-party support for renewable energy is possible from Spring St. Though we’ll find out whether this is the case once the Andrews government’s Renewable Energy Action Plan is released. A constructive approach to policy development from the opposition, Greens, and crossbench will show it exists. Sign the Petition for Ambition and how your support for a strong Victorian Renewable Energy Target.